You’re going to have to use your AC unit at some point in the Texas summer season. You must get it ready beforehand so it will stay active and functional for if possible. 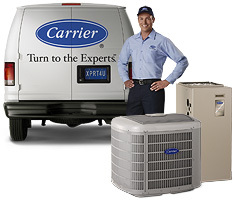 There are many things that can be done to help you get more out of your AC system. Start by looking at the filters in your AC unit. Make sure the filters are cleaned out. When the AC unit isn’t active, it may start to develop dust. By cleaning out the filters, you will avoid dust getting in the way, thus making it easier for the AC unit to work right. Condenser coils in your AC unit can collect all sorts of things in the winter. They might collect leaves, bits of snow and much more. While it is best to have a cover over your AC unit so it doesn’t bear with these issues, the coils will still become dirty from dust and anything that sneaks through the cover. The fan in your AC system will be right over a series of condenser coils. Make sure the AC unit is shut off and disconnected and then remove the coils to get them cleaned off. This is to get rid of any clogs or other problems inside them. If done right, it should be easier for the coils to be treated well enough. You must especially keep the AC unit cleared out the right way if it is to run properly. It can be tough for this to work properly unless you are careful enough with it. All refrigerant and coolant lines must be inspected. Insulation around those lines can wear out over time. This causes the lines to stop being as useful as they could be. Therefore, you must get your AC unit fixed up by having all coolant lines in your properly replaced as soon as possible. Foam insulation sleeves can be applied onto your coolant lines. These will keep the cool air in. of course, any cases where your coolant lines are broken will require you to get them replaced altogether. A professional should help you with this process if needed. You must get a full test of your AC unit to ensure that it isn’t working improperly. You must test it based on how much air it is generating and how it flows around your property. You don’t have to push it to its extremes but you should at least look and see if there are problems with how it conducts energy and produces cool air. This is to see that there are no problems with the setup running in any manner. This also helps you figure out what can be done to fix your setup if needed. This entry was posted in Air Conditioning Services, HVAC Services by Whit Kinser. Bookmark the permalink.